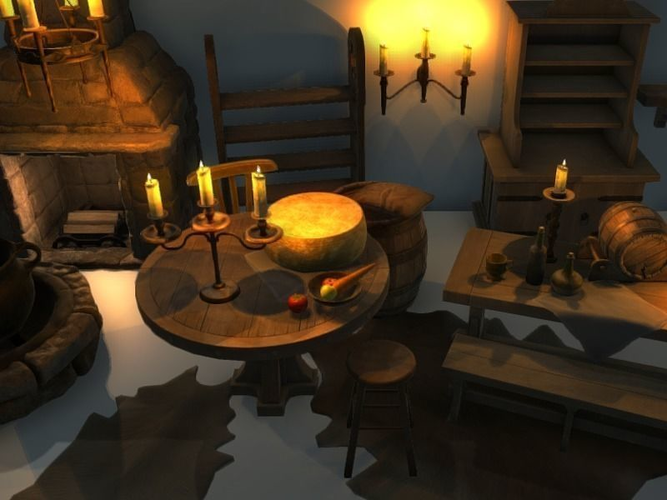 This pack contains 38 game ready PBR assets with collision meshes for a medieval tavern interior. The .unitypackage also contains 51 prefabs with collisions and light sources set up. This is a treat, thank you so much for these models, they are really good!